A Trial Lawyer has several other obligations not as glamorous as Hollywood attorneys would have you believe. Not only do they go to court and do lawsuits or trial, but they usually spend days assessing documents, making contact with witnesses, as well as talking with other attorneys involved in similar trials. They also draft and file pleadings with the court. Each of these procedures can take weeks or months as trial lawyers prepare for litigation hearings, evidentiary hearings and ultimately a trial on the merits. They will certainly spend time in court with various other attorneys for matters. These include arguing motions, picking jurors for jury trials, and also scheduling conferences – which as also called pre-trial conferences. Sometimes these are done over the phone and sometimes in person. Due to the fact that trials are expensive for both criminal and civil, often they never make it to a court trial; the case is often settled instead. Settlement can be done via mediation, settlement discussions or arbitration. As you can imagine, the law is fluid and dynamic. New legislation takes the place of old and also court precedents and public opinions change over time. You want to make sure when you choose a trial lawyer, you get one that not only has experience, but wants to do the best job possible and has the right personality for the case. The trial attorney first and foremost has to be well versed in the law. They need to stay up to date on existing law and modifications in the law throughout their career. They need to be incredibly information and detail oriented. Trials are complex and filled with a myriad of facts and law mixed together. Rules govern everything. The lawyers who aren’t detail oriented miss deadlines and hurt their clients due to their carelessness. We don’t tolerate that here. The proficient trial lawyer will be able to identify tiny issues that can make or damage a case. While a trial attorney has to be shrewd as well as appear compassionate to a jury, they also have to be personalized, persuasive, and also hit it off with others. They need to posses a particular finesse that permits conflict and also assertiveness while keeping an open line of communication. At Ascent Law, our trial lawyers have this finesse. We have mastered trial skills — both oral as well as written. We invest a lot of time writing and speaking. This style of communication needs to be skillfully persuasive as well as exact. Matters entailing wills, trusts, probate estates and guardianships in some cases, unexpectedly, wind up in court. When that occurs, it is particularly vital that the best lawyer is representing you. What seems like an “easy” probate or a “simple” case at the outset, can suddenly turn into a huge and expensive lawsuit when a sibling, spouse or other beneficiary is either unhappy at the share of the estate or what has actually been left to that person, or possibly among the estate beneficiaries challenge the fashion in which the individual representative or the trustee is taking care of the trust or the estate. The trial lawyer who was handling the probate or trust fund administration many not manage disputed issues and may also advise the client that a different lawyer must be worked with to take care of the litigation section. That is what Ascent Law does, we take these cases and litigate them. There are numerous other circumstances where litigation suddenly becomes needed. In this scenario, a new attorney has to be brought into the case as well as you, as the client, need to have some understanding of how these sorts of matters are dealt with in court, and also how lawyers function. There are essentially two kinds of attorneys who deal with these instances– those who will certainly manage the whole litigation begin to end up including directly conducting the trial of your case, if needed, and also those that may handle the initial matters however do not have the needed trial abilities and will get yet another lawyer in the nick of time (at this moment you’re paying either 2 or 3 lawyers) who will actually perform the trial. 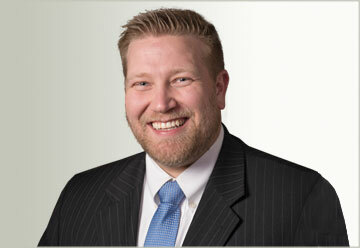 Here at Ascent Law, we don’t get other attorneys. We do it all. From the very beginning to the very end. We are trial lawyers, not just transnational lawyers. The truth is, although a lawyer may say that they are a “litigator,” this does not mean that he or she is an actual “trial lawyer.” It’s possible that they just do motion practice, meaning drafting litigation motions or trial motions, but they don’t go to court and argue the motion or they don’t actually try the case. That distinction is essential! A trial attorney is the one who in fact prepares the whole time to take the case to trial, makes the arguments, the opening and closing statements, examines and cross examines witnesses and makes the arguments to the court– that is to say, the one that takes care of the final essential component of the trial. That’s us. 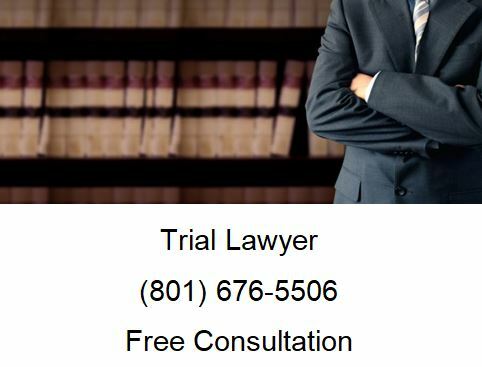 When you need a lawyer who will take your case to trial, call Ascent Law for your free consultation (801) 676-5506. We want to help you.